Realtor.com is the official website for Realtor-listed MLS properties available for the public to view. Info contained on Realtor.com is less detailed than what the Realtors® see on the MLS. 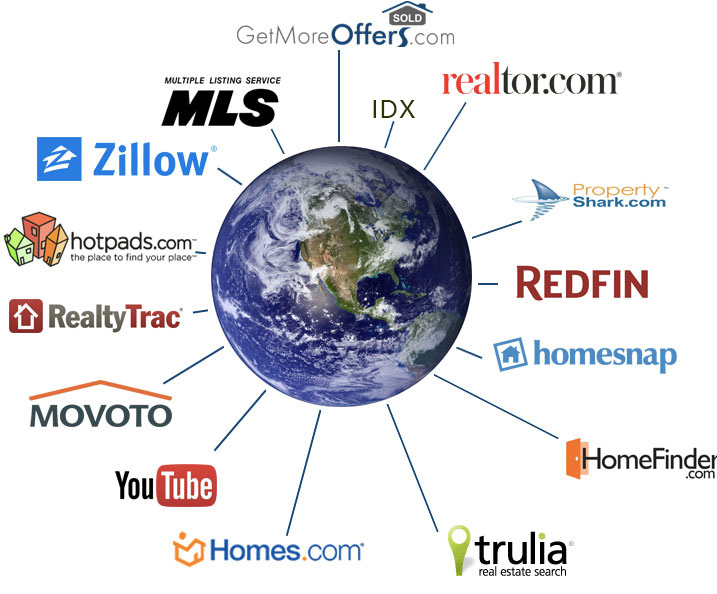 The MLS Data gets automatically fed to Realtor.com. This generally takes 48 business hours. Homes.com is a national portal website that attracts over 2 million homebuyers each month! Homes.com listings can only be entered by Real Estate Agents who are paid members. The different MLS's vary in how many photos they will display. Most are between 8 and 16. ADDvantage will upload as many as the MLS will hold and will pull them from starting with the first photo displayed on our system. Simply upload the photos you want to appear into your account when you sign up. We will resize properly and transfer for you. You may also email us the photos if it's more convenient. Homes.com displays up to 25 photos. MLS ADDvantage® displays up to 25 photos, which you may edit at any time by logging in with your password. Getting an offer? ADDvantage will accept offers from Realtors® on your behalf. If you wish, you can have any offers faxed/emailed right to ADDvantage 866-420-8957/offers@addvantagerealestatenetwork.com and we'll forward it immediately to you. Have a question about an offer? Talk to ADDvantage's broker--free. 727-942-2929 or 1-877-232-9695. This free service is not the same as getting full representation in a contract such as ADDvantage PLUS™. If in doubt, it is helpful to talk to an experienced broker. We provide the National Association of Realtors® (NAR®) standard FAR & FARBAR contracts by request. Simply contact our office and we will email or fax you the document. We provide NAR® disclosures by request. Simply contact our office and we will email or fax you the document.